Looks familiar? 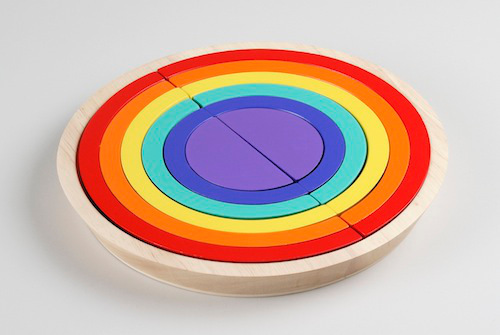 In fact, we first introduced you to the amazing range from Learning Materials Workshop two years ago. Now they’re being stocked by one of our favourite places. Brinca Dada is where they’re at and it’s a match made in heaven. 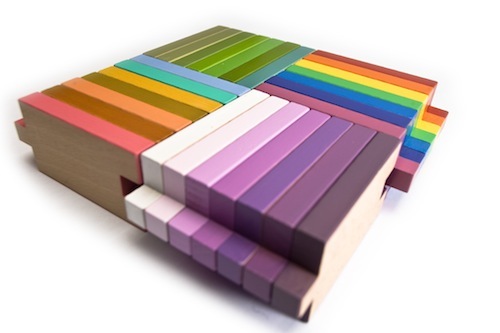 Brinca Dada’s new collaboration with Learning Materials Workshop means that they are stocking five of LMW’s most popular products as part of their new Colortoys range, and here’s a guarantee – if you love colour, you will love these blocks. The Colortoys blocks really are unlike any blocks I’ve ever encountered. The Arco set (above) is both building set and jigsaw puzzle in one, and like all the Colortoys blocks, the colours are spectacular. 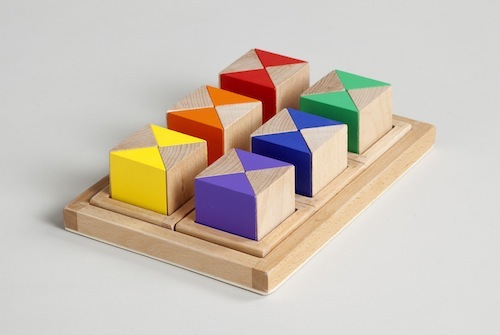 The Kaleidos set (top) contains forty-two different colours and enables little hands to build amazing creations and explore hue and colour variation all at the same time. You can view the whole range at Brinca Dada, and they have a list of other online stockists as well. The range has obviously been very popular and some of the lines are presently only available for backorder. Prices begin at US$29.